It's one of the most difficult questions that Christians face, and a problem that keeps many away from faith: why does a good God allow bad things to happen? And how do we keep on trusting him when they do? 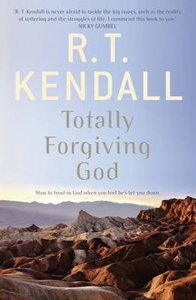 Having written bestselling books on how to forgive both others and ourselves, much-loved author R. T. Kendall now tackles our need to forgive God for all the times we feel he's let us down. Written with courage, humour and above all kindness, this book is an encouragement to all who've grappled with life's deepest mysteries.